Datio POS Blog for Point of Sale and Cash Register for Restaurant and Retail for iPad. 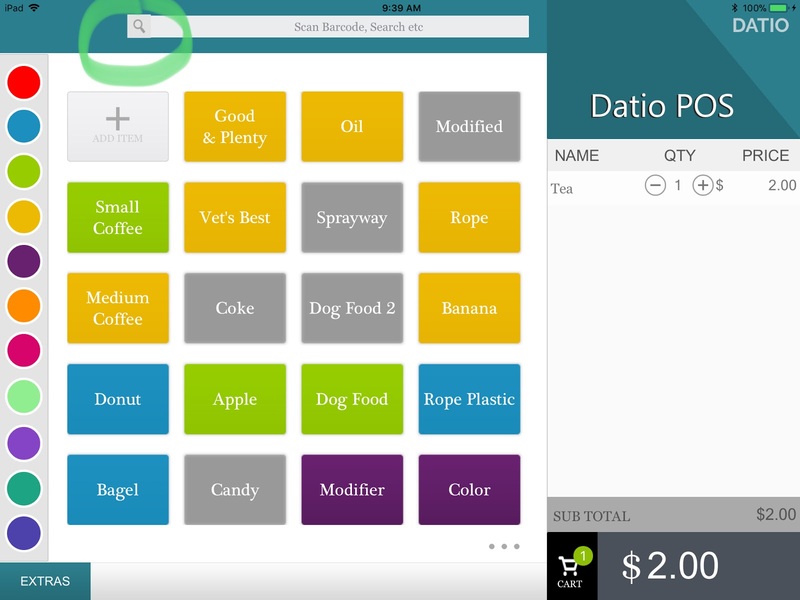 Set up the Datio POS mobile scanner so you can use it with your Datio POS software. Charge the scanner, pair it with the iPad, and add your item via UPC (the most popular barcodes printed on retail items) codes. The Datio Barcode Scanner ships with all of the parts and pieces listed below. We suggest following this guide. It will help you set up the scanner. The directions with the scanner are for many different systems. Follow our guide to set up the scanner for the Datio POS software. The scanner uses rechargeable batteries to keep your store’s operations moving for a full day. Insert the scanner’s batteries and then plug it in to charge. You can plug it into the side of the Datio POS Base Station. Turn the lock so it is horizontal and remove the cover. Insert the included NiMH rechargeable batteries. Use only the included NiMH batteries. Do NOT use standard alkaline batteries. Replace the back cover and turn the lock so it is vertical. Charge the scanner via the included adapter. Plug the USB charging cable into the scanner. Plug the other end of the charging cable into the charging adapter or Datio POS Base Station side charging port or plug the charging adapter into a power outlet. If you are setting up the scanner for the first time, allow it to charge for 5 hours before unplugging, but you can use the scanner while plugged in right away. 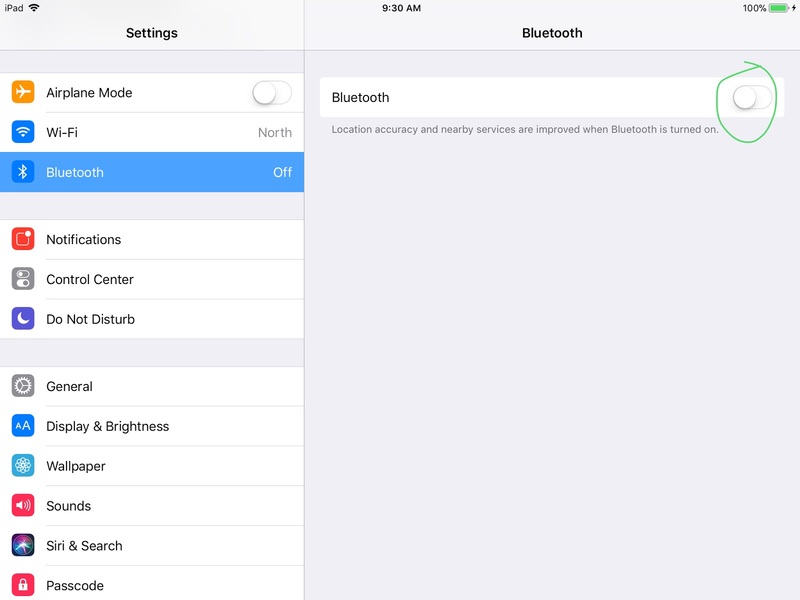 Make sure Bluetooth is turned off on your iPad. Important! Make sure the Scanner is not connected to bluetooth to the iPad or device before scanning the barcode below! 1. Power on the scanner. 2. To change the profile to Datio POS for iPad iOS, scan this barcode. You might be able to scan this directly on your computer screen or if not please print the page to scan the bar code. 3. The scanner will beep 3 times. 4. The scanner is now in the correct mode for use with the Datio POS software. Pair the Socket scanner with the iPad to begin using it at the register with the Datio POS software. Open the iPad's 'Settings' app. Switch Bluetooth on and tap the 'Socket' device. The scanner will remain paired with the iPad until powered off or disconnected. 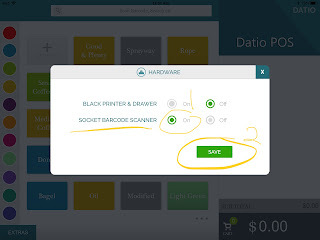 From the Datio POS App, go to Extras\Custom Setup\Hardware\Hardware Selection and turn on the "SOCKET BARCODE SCANNER" then hit Save. The scanner will now be ready to use. Go back to the Home scree as shown below. Select search, then push the large button on the scanner, point it to the barcode on the item you want to scan. If the item is new you will get a window to set up the item with name and price. If the item is already set up, scanning the item will add the item to the cart. If you restart the App you may need to select search again to get the scanner going. After you hit search one time and the scanner is working, you don't need to push scan again, just scan your item to add to cart. Unpair the scanner from the iPad to pair it with a different device or to change the scanner’s mode. You only need to do this if you are setting the scanner up on a new iPad. 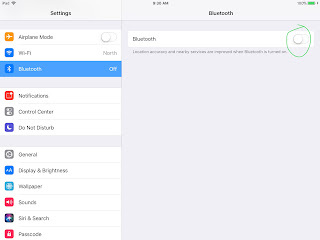 Open Settings on the iPad. Tap the blue 'i' next to the scanner. DatioPOS. Simple theme. Powered by Blogger.